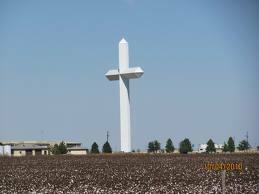 On our 400 mile trek from Lake Texoma into Amarillo, TX, just when we were drifting off into la-la land being bored to tears staring at prairie land and highway tire carcases, look what appears 5 miles away--yes, the world's tallest cross standing almost 200 feet above Texas. I don't believe Simon could have managed that cross on his own. Thought it was quite appropriate though to see it on the day before Easter. A few more details about this attraction that draws over a 1,000 daily visitors here. Continuing on, we spotted another project by an 8 year member of the Texas A&M undergraduate Engineering program. When the folks are done praying at the Cross site, they all relocate here and pray against wind. This was 'roughing it' last night at a Texas Welcome Center in Amarillo. Battery operated lights and LP gas were our only resources. Well, except for Wi-Fi, 24 hour security and beautiful restrooms. Awoke to temps around 42 degs this morning, but the Fiver was a toasty 52 degrees. Yeah, I know, might have to rename the Blog. 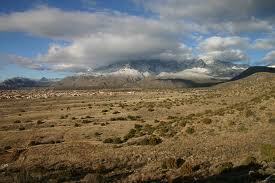 So yesterday's 400 miler was followed by today's 300 arriving into the high desert of Albuquerque, NM. We had talked about 1 week increments totaling about 1,000 miles per month, so weekly moves of 250 miles. Uhhh--we just did a 1,000 in 4 days and 7,000 ft of elevation changes-- not sure what the hurry other than leaving Texas always seems to take days. I know one thing-- the thought of becoming an over the road truck driver was a short one. 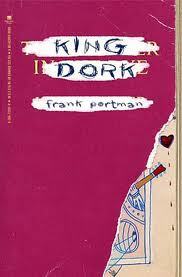 I have to confess I was pretty much King (RV) Dork today. First, checklist says "check trailer brake lights" before departing. Well, I know I had plugged in the brake cable, so no worries---right? Wrong, go 1 mi. and look down at my brake controller and no light! Remember the whole 8 ton interstate missile comment-- now imagine no brakes. Quick fix--my brake cable was not plugged tightly-- it's got a a clip that is suppose to secure it that doesn't work properly. We then fueled up 2 hours later and go to leave and Check Engine light comes on. Yup, forgot to tighten the fuel cap. The 3rd strike for the day--we get to the park and get completely unhitched and realize the slide won't open due to a couple metal marker posts interfering. (Yes, we will be on version 43 of our checklist revision in a week). Pull up 1 feet to have clearance and the hitch won't release itself from the kingpin with the usual ease. One hour later, solved. Could have been quicker, but was not taking any chances of our Fiver doing a swan dive onto the parking lot. Insurance companies frown on it. 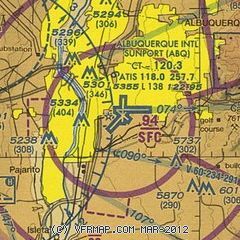 But the good news for me, we sit right on the final approach course for Runway 12, about the outer marker, of Albuquerque, NM International Airport. Time to fire up the scanner. 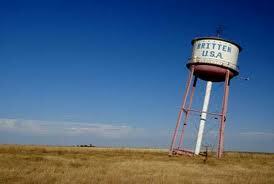 Looks like we will hang in the mile high desert for a week. However, the forecast calls for Fur-lined Flip Flops, so we will evaluate further in a few days. Time to REST! If I was a drinking man, the Bud Light truck would be making a holiday delivery to Lot 305 of the High Desert RV Park.